Something to consider when it’s scorching hot outside: You can own an installed, functioning air conditioning unit for as low as $55 per month. 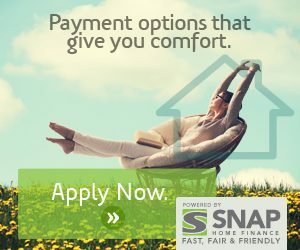 Gandy Installations, in partnership with Snap Financial, offers a unique payment solution. Snap is a fast, flexible, easy way to pay for your heating, cooling and indoor air quality needs, without having to wait. Why go to the bank when you can simply click on the pre-approved link above and complete our secure credit application. With SNAP, credit decisions take just minutes. SNAP offers its customers a smarter and more affordable way to pay for the HVAC equipment you need, with low monthly interest rates. There’s no need to put off getting a more energy efficient and cost-effective home comfort system. We make it simple, so start saving money now. Get pre-approved today simply by clicking the above link.